There are endless arrangements including all meat kebabs, all fruit kebabs, all vegetable kebabs, and combinations of the different food groups. 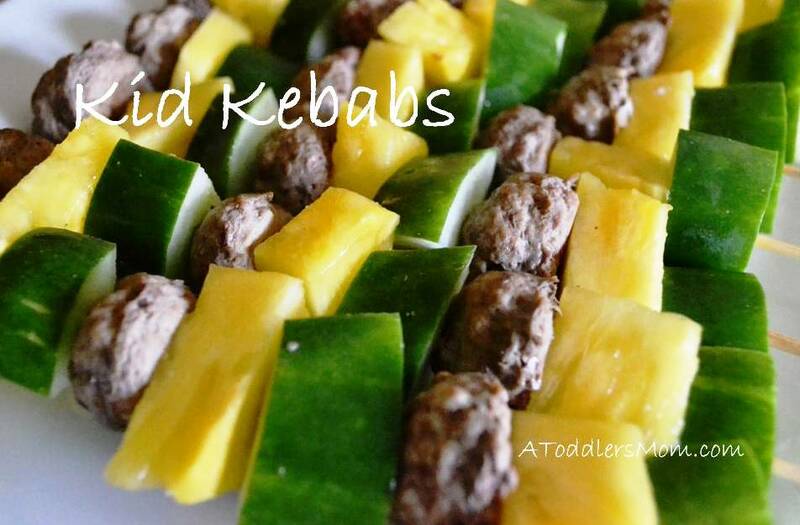 Kebabs are also simple and easy to prepare. They can even be tailored to suit your family’s individual preferences. They can be grilled on the barbecue or made with already cooked food. Serve them for a meal, a snack, or an all-fruit kebab for dessert. Meat options can include beef steak, mini meatballs, chicken breast, sausage, or bacon. Vegetables that work well on a kebab are zucchini, cucumbers, mushrooms, red onions, bell peppers, and cherry tomatoes. Fruit kebabs can include pineapple, honeydew melon, cantaloupe, strawberries, raspberries, blackberries, grapes, banana slices, orange wedges, kiwi fruit, and papaya. For unconventional ideas, try dried fruit, or different types of cheeses (we use goat cheese). My favourite kebabs include a combination of meat, vegetables, and fruit. What is your favourite kebab combo?